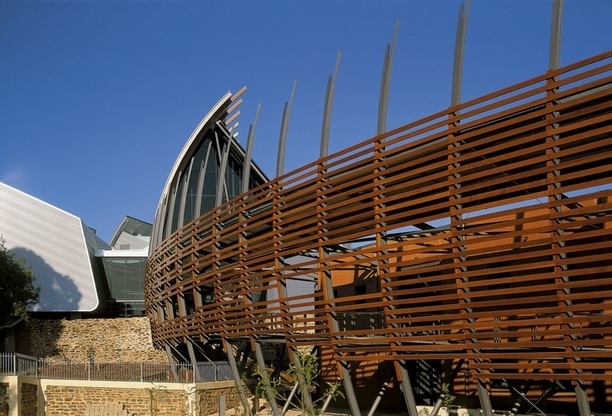 The National Wine Centre is an architectural treat, but what it holds inside is the real attraction. Visitors to the centre can experience the winemaking process from the vine up through our interactive, free entry, Wine Discovery Journey located on the first floor. Guests can complete their experience by tasting fine Australian wines, or enjoying a meal from the seasonal a la carte menu at the ground floor Concourse Cafe. The National Wine Centre experience is perfect for everyone from the complete novice to the wine connoisseur. Open seven days a week, allow us the opportunity to extend and heighten your appreciation of Australian wine.